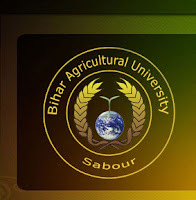 Jobs in BIHAR AGRICULTURAL UNIVERSITY: SABOUR - Latest Employment News, Sarkari Naukri, Current Vacancy and Rozgar Samachar. P.M. only through registered post/speed post/courier post. The in-service candidate should submit application through proper channel. However, they must submit advance copy with requisite fee within stipulated time. Note: Please write the advt. no. and name of the post on top of the envelop. Back Log Vacancies : 33 Posts. Current Vacancies : 63 Posts. The University reserves the right to increase, decrease or withdraw any post, change the designation and pay scale and also not to fill up any post even after selection. In no case application received after closing date will be considered. The original application form duly forwarded by parent office must reach to this office within a fortnight after closing date. Higher starting salary may be considered for highly qualified and experienced persons on the recommendation of Selection Committee in special cases. Candidates must bring original certificates at the time of interview.